It`s a pleasure for me to welcome you to our web page. Claustro Universitario de Chihuahua is an academic institution that has been distinguished, since the beginning, for looking for innovation, understanding, explaining and description, of everyday´s challenges that emerge from this changing and globalized world. The graduate fields we offer respond to the local and regional market needs, its design is given basically by two aspects:a) The continuous work with private and government institutions which have kindly shared their immediate professional requirements. b) The student and educational demand. This way we see as a priority to respond to high school students with unique options for their professional and personal development. All without leaving aside the guidelines suggested by the Secretaria de Educación, Cultura y Deporte (SECyD) and their Departments who oversee our professional work. 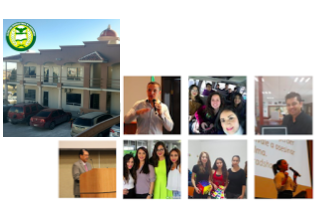 The Claustro Universitario de Chihuahua has achieved significant academic exchange with organizations that provide and / or request the respective services in an interesting mutually beneficial partnership that strengthens the theoretical and practical aspects seen in classrooms. The qualitative growth has been strengthened in the school. Each time with more regularity, we count with teachers and experts from various disciplines, together with the interest and concerns of students, who form a constantly evolving collective academic and professional interaction. It is also a meeting of cultural processes that seek nurturing the spirit of our student community. Among other activities, each year we celebrate a cultural week. Where many and diverse speakers analyze the current regional, national and worldwide issues. Besides, we give workshops, exhibitions (photography, painting); theatrical and musical activities. That’s why today I share with you the pride of belonging to this great educational option in the beautiful state of Chihuahua. Come closer to us and … Dare yourself to know!! 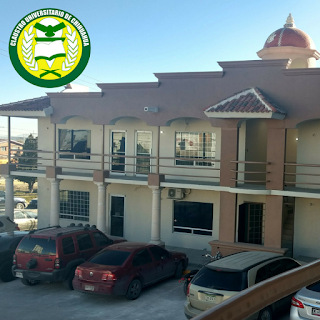 This educational institution, Claustro Universitario de Chihuahua, incorporated to Secretaría de Educación y Cultura of Chihuahua State Government, born from the worry and interest of the founders to contribute to the social and educative development, promoting, encouraging, fostering and managing an excellent Educational Institution of Higher Education. The corporate social purpose of our organization is reflected in the bylaws and articles of incorporation thereof, respectively dated in May 29, 1996 and March 10, 1997, legally certified by the Public Notary´s office No. 25. Nowadays our educational institution has a structure of Higher Education of substantive activities: teaching, research, extension and / or culture dissemination and sports. In the beginning of our organization makes effective the development of the following Degree levels: Psychology (January 1997), Law (January 1997); For institutional initiative and recommendations of Consejo Estatal para la Planeación de la Educación Superior (COEPES), based on current trends in employment and labor, social needs and development of scientific knowledge, the degree programs were modified, resulting in the creation of Industrial Psychology (September 2001), Criminology (September 2001) and Political Sciences (September 2000). The Institutional development has been made according to the guidelines and guidance of the Secretaría de Educación y Cultura del Gobierno del Estado, through the Dirección de Educación Superior. Even though if it is a relatively recent institution of Higher Education, the educational offer has had a commendable acceptance in Chihuahua´s society, which has been appreciated by the seriousness, efficiency, quality and desire for innovation that CLAUSTRO UNIVERSITARIO DE CHIHUAHUA accessibly presents to achieve personal and social satisfaction of expectations. We form an academic community that helps develop human resources in different professional and disciplinary fields under the principle of integral education, standards of educational quality and with teachers and experts in their fields in order to meet the demands from Early Childhood to Higher Education. Claustro Universitario is committed to discipline and punctuality. Practices that contribute to strengthening respect for others. The service and devotion on vocation, the nature´s and ecological environment values, tolerance of differences, and respect for people and their beliefs, dealing with fairness, honesty in acting, appreciation for freedom , solidarity, cooperation and teamwork are values ​​that are favored in attitude, at work and in the fulfillment of the mission that our educational institution has assumed. – Critical, auto-critical, autonomous and proactive thinking development. – Participation in the human, economic, political and social activity which allows the formation of cultivated cultural patterns in the respect and appreciation of justice, love, truth. – The appreciation of free thought as an essential condition for the development of the individual and society and the student´s personality development as a human being self-directed and dynamic but socially sensitive to the needs and problems of their environment. SAPERE AUDE: The expression is a Latinism probably brought in by Horace in a letter to his friend Lolius which relates the various solutions that Ulysses gave when faced the adversity in his return to Troy. It can be seen as the ability of the person to “Dare to know, meet and think”. It can also be appreciated in the letter an emphasis on the courage to use the ability to reason. Subsequently, the sentence was used as the slogan of the enlightenment period. LIBERTY: to express the knowledge and proposals linked to the solidarity to mankind. JUSTICE: As human category represented in the law, in the citizen´s fundamentalrights, the life, physical integrity and respect for the collective.